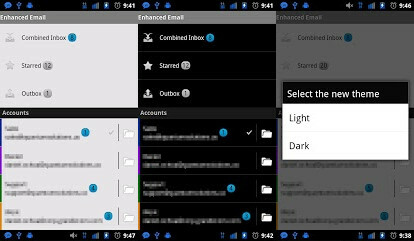 Download Enhanced Email 1.34.5 APK free for android. 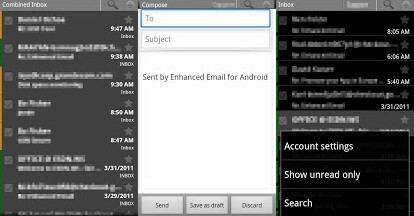 Access and manage all of your email accounts from a single app that boasts an intuitive UI. * Full E-Mail search including message text! * Growing support for many 3rd party apps that offers an amazing integration with apps/widgets you already love to use! * Combined Inbox view aggregates mail for all mailboxes into a single location! * Ability to select/copy text! READ_CALL_LOG & WRITE_CALL_LOG are being automatically added by Android because my targetSdkVersion isn't set to 16+ and because I use the READ/WRITE CONTACTS permission. You can read more about it here (http://developer.android.com/reference/android/Manifest.permission.html#WRITE_CALL_LOG). I don't use the call log at all in any way shape or form. It's being forced on me.